The chief aim of the curation facility is to provide a secure and stable environment for the storage of archaeological collections for use by researchers and students studying the archaeology of California’s Central Coast. We are developing, and continue to maintain the SLO County Archaeological Collection Index that lists all collections generated from SLO County/Central Coast through time. We provide support to our membership through our outstanding library, publication series, newsletter, lectures, and field trips. Become a member today! Our facility houses a variety of collections reflecting the diversity of local archaeological work conducted over the past several decades including professional cultural resource management projects, academic and public agency research studies, and volunteer endeavors. 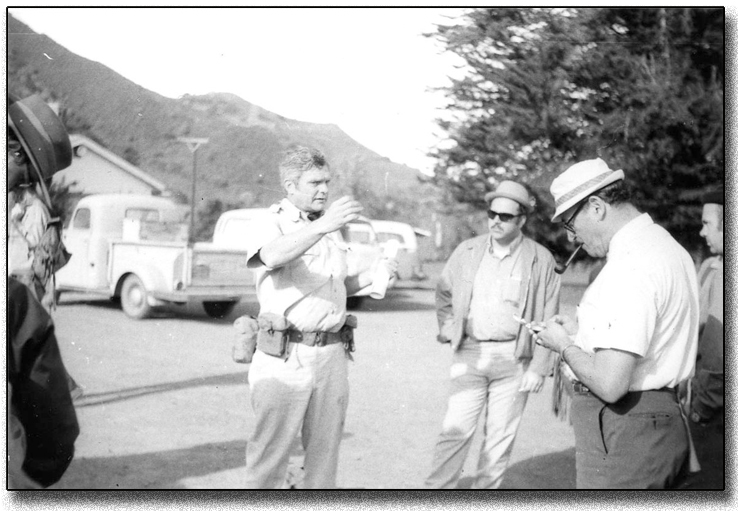 In 1965 a group interested in the archaeology of our local area organized as the San Luis Obispo Amateur Archaeological Society under the direction of Boyd Wettlaufer, an archaeologist from Canada teaching at the San Luis Obispo High School. In November, 1971 this group officially organized as a 501 (c) (3) corporation in California as the San Luis Obispo County Archaeological Society. During these early years archaeology was being performed mainly by educational institutions. In our case the directors of excavations of the Society were associated either with California Polytechnic State University or with Cuesta College. During the 1970s a newly enacted law, California Environmental Quality Act – CEQA, caused the decline of educationally sponsored excavations in favor of business enterprises organized to handle the wide environmental concerns addressed in CEQA. The Society has not sponsored an archaeological excavation since the mid 1970s and no longer feels it is necessary. In the 1970s the Society became a partner with Cuesta College in the renovation of the Hollister Adobe, which is located on the Cuesta College Campus. Beside playing a primary role in the renovation process, the Society operates and maintains the Museum and collection that the Hollister Adobe houses. In exchange for our participation, the Society was allowed to keep our collections and library in two buildings on the old Cuesta College Campus that was located on Camp San Luis Obispo property. Cuesta College extension classes, related to archaeology or museum practices, were often held at these facilities. As part of our educational mission a publication series of Occasional Papers was started in 1970. That series continues today with an invigorated enthusiasm as our Occasional Paper #16 has recently been released. In addition we have committed to publish the archaeological papers resulting from the studies done during the construction of the California State Water Project through our area. To date four of the proposed twelve studies have been published. This program has proven to be self supporting in the past, but our more recent reports have required supplementing with moderate but welcomed grants. During the time period from 1971 to 1995 the Society provided monthly lecture program meetings open to the public. The Society also helped define successful adult education programs at Cuesta College which attracted interested individuals to the benefits of the Society. In an attempt to reach a more diverse audience for our programs, our most recent approach changed to holding several programs per year, and because of the deteriorating and uncomfortable conditions, to hold them in a more publicly available space. 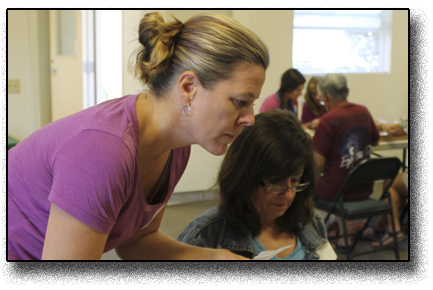 Some of the more recent programs have attracted well over a hundred participants. In addition we have sponsored field trips to local archaeological sites providing a mix of professional archaeologists with the interested public with successful results. In 1998 we received a Transportation Enhancement Act grant of $193,000 to renovate the facilities that we occupied. In order to receive this grant the Society was required to establish a direct lease from the State Real Estate Division. The renovation and new addition of an office space, ADA access, restroom and climate control Records Room has recently been completed resulting in bringing our Collections Archiving Facility into compliance with regulations and requirements. We can now offer the service of archiving important collections for the benefit of future study and educational purposes to our existing collection of over 250 local sites. No longer will archaeological collections from this county have to be archived out of county. A Learning Center and supporting Library are a significant portion of the renovation. The Learning Center has provided us with a space capable of handling groups of fifty or more individuals. Classes from both Cal Poly and Cuesta College have used this facility and its supporting Teaching Collection. The organization and cataloging of library holdings is an ongoing function. SLOCAS has moved into the 21st Century with a diverse Board of Directors that represents professionals from private cultural resources management firms, local non-profits, and federal, state and local agencies. We have just implemented a new Strategic Plan and are working toward the long-term viability of our Research and Collections Facility. We have also continued with our high-quality publication series with other publications in the works. 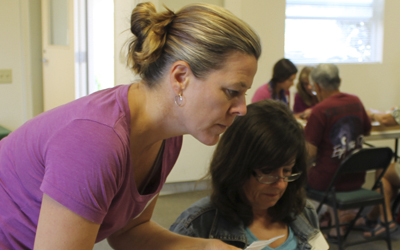 SLOCAS actively manages its collections, recently hosting a workshop sponsored by the California Site Stewardship Program, a program of the Society for California Archaeology, and developing and maintaining the SLO County Archaeological Collections Index. 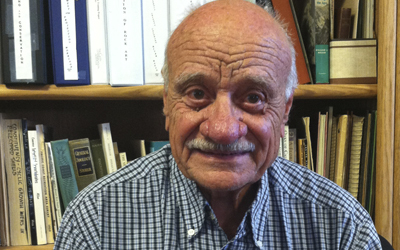 After a course in local archaeology taught by Jay von Werlhof in 1969 at Cuesta College, Luther joined the newly formed San Luis Obispo County Archaeological Society where he continues to be a member and serves on the Board of Directors. 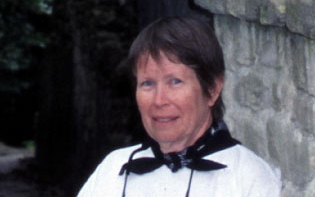 Betsy has been a member of SLOCAS since moving to San Luis Obispo in 1969. She has served on the board since the early 1970s in a variety of capacities as well as operating the Hollister Adobe Museum on the Cuesta College Campus for over 35 years. 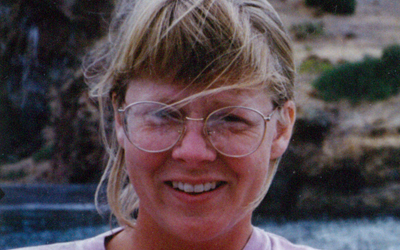 Since 1991, Betsy has been a partner in Bertrando & Bertrando Research Consultants. She is very old. Raised in various places in the Midwest, Chris moved to Berkeley in 1962. She received her education from the University of Minnesota and worked as a Radiologic Technologist at the University of Minnesota Research Hospital. 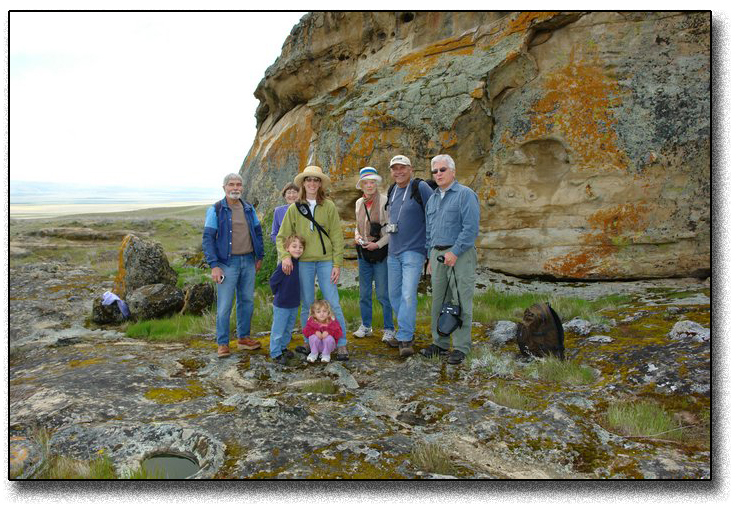 Chris assisted in archaeological research on Santa Cruz Island in 1968, has visited archaeological sites throughout the world and was a member of the first American archaeological delegation to China in 1990. 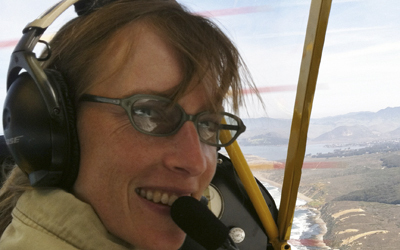 Kate Ballantyne is a San Luis Obispo County native, who received a B.S. 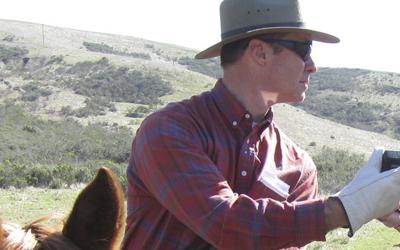 in Soil Science from Cal Poly SLO, and an M.A. in Anthropology from UC Santa Barbara. She works for the County of San Luis Obispo Public Works Department as the Environmental Division Manager. In her spare time, she enjoys coaching youth sports, trail running with her dog, and trying to keep up with her two young sons. A native of Minneapolis, Allison earned her BA in Anthropology and Art History from the University of Minnesota, and continued with graduate studies in Historic Preservation through the University of Oregon. She’s currently staff archaeologist at Cultural Resource Management Services in Paso Robles. Allison enjoys watching her daughter dance, her son play football and baseball, flying with her husband, distance running, and experimenting in her garden and kitchen. Looking back, it is now clear to me that I unwittingly cemented a career trajectory in archaeology in 1992 when I purchased a 1979 VW Bus. Transportation, office, sleeping quarters, dining room — perfect for all those years of chasing archaeology projects across California, Nevada, and Oregon. I am extremely fortunate to have settled on the Central Coast of California and be active in the archaeological community by being a member of SLOCAS, the base archaeologist at Vandenberg AFB, and by maintaining many of those archaeology friendships established way back when I was driving that old VW Bus. Ann Munns joined the board in 2012. A native of Iowa, Ann earned a B.A. in Biology and Anthropology at the University of Northern Iowa and an M.A. in Anthropology (Archaeology Emphasis) at UC Santa Barbara. 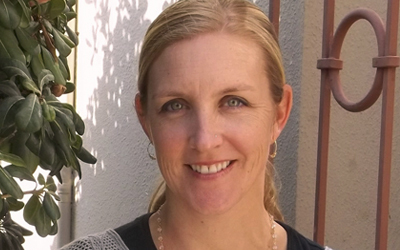 Since 1999 she has worked for Applied EarthWorks in Lompoc and now serves as Manager and Senior Archaeologist/Laboratory Director. Christina MacDonald is the Collections Manager for SLOCAS’ Research and Collections Facility. She holds a B.A. in Anthropology from UCLA and an M.A. in Cultural Resources Management from Sonoma State University. She is an archaeologist for Caltrans District 5’s Central Coast Specialist Branch in the Environmental Planning Department. She enjoys time spent with her family and her growing menagerie of animals. Growing up in Nipomo, CA, Doug enjoyed visiting Oso Flaco Lake with his family and feels a special connection to the beautiful natural areas of the Central Coast. 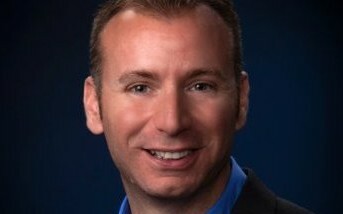 Doug holds a Bachelor of Arts in History from California State University Channel Islands as well as a California Secondary Social Science Teaching Credential and a Master of Arts in History from Cal Poly San Luis Obispo. Doug is also an accomplished author and has a background in the field of environmental history.